Have you taken some time to think about all that goes into creating a single piece of content? Like really thought about it? I hadn’t until recently I just moved from one stage to the next without thinking too much about it. But it’s quite a bit of time AND each part takes a different amount of time and energy to complete. The planning phase of content creation can either be really quick or it can be a painful process depending upon how you currently plan out your content. I spend less than an hour mapping out the content for the next 3 months. That probably sounds like a dream if it takes you one hour to even know one topic you’re going to post about. But it is possible when you write from your zone of genius and you have a plan for rotating through your topics. Having your plan in place makes everything else that comes with content creation really smooth. You will waste less time during the writing phase when you don’t have to figure out what it is you are going to be writing/talking about. How can you save time during the planning phase? Plan one theme for each week pulling from you broad zone of genius topics. Then fill in the content topic from your post idea list that is related to that theme for the week. The first time you do this it may take a little bit of time but once you get the hang of it, you can totally get this part of the content creation process done in less than an hour for each quarter. The actual writing phase, or the phase that takes the most time no matter what you do. But when you are armed with your plan you know exactly what you need to write about and take the guesswork out of the process. The writing phase may take a little bit more time if you have to research the topic you are covering. And how long it takes you to write in general. But one thing you can do to save time during this phase is to just write without self-censoring. Or editing…. I know it will be hard to do because I struggle with it too but it really will help you get faster at the writing process. Sit down and just write on your topic whatever comes to mind. If you get stuck or want to shift gears DON’T hit the backspace. Hit enter and pick up writing on your topic again. You’ll edit and organize in the next phase this one is all about getting it out. During the formatting phase, I typically proofread my content during this phase. Pull out quotes, headlines, and create bulleted lists. Don’t get stuck in this phase thinking that you need pass after pass to proofread your content. Trying to make it perfect will only slow your progress and keep you from getting your posts out there. I know I try as hard as possible to catch all the issues that could come up including typos, grammar problems, and spelling errors. But it just isn’t possible. Sometimes months later I go back and reread things and notice GLARING issues with my spelling or my grammar… and I think how did I miss this, even after multiple proofreading sessions. So I learned my lesson even if I have errors I have to let those go because I’m human. Mistakes happen and I just have to roll with it if I want to keep up my momentum. How do you save time here? Don’t get stuck set a certain number of proofreading sessions and set up a template for yourself to follow during formatting that way you can quickly pull out the headers or quotations that you want to use. We are visual beings. We are much more likely to slow down and read something if we are hooked in by a visual so 90% of the content you put out online needs to have a graphic associated with it. That includes social media updates, blog posts, Facebook group posts. This can be an incredibly time-consuming part of content creation but there are some ways to cut down on the time it takes. Make a list of the different graphics you will need. Do you need a blog post graphic? A daily topic graphic? A different graphic for each day’s Facebook post. Quote graphics that are on-brand for your business? Next, create a template in your graphic software for each type of graphic you need. That way when you go in to create your graphics you need to change the image or the text and then you can save and move on quickly. Reuse, reuse, reuse! Your template will save you a bunch of time and help you keep from tweaking your designs every time you go to create a new graphic for your business. This last phase, some may not think of this as part of the content creation but I do. Here is why. Scheduling your content is the “follow-through” part of content creation. Your content is only doing you well when you are putting it out there. It also takes the guessing game out of when different pieces of your content are getting posted. Having it all laid out will help you save time in the long run by giving you a specific plan for posting. You can take it one step further and save yourself, even more, time by automating the process and having a tool post automatically for you that way you have to spend even less time tied to your computer or phone. There are a lot of different steps to creating content everything from planning it out to schedule. And when you are first getting started it can take some time while you work out the most efficient way you work. But thinking through all the steps and doing what you can to work smarter not harder for content creation will save you a ton of time. What time-saving tips are your favorite for creating content to use for your online business? Let me know in the comments! Ready for some additional support & an AMAZING community?? 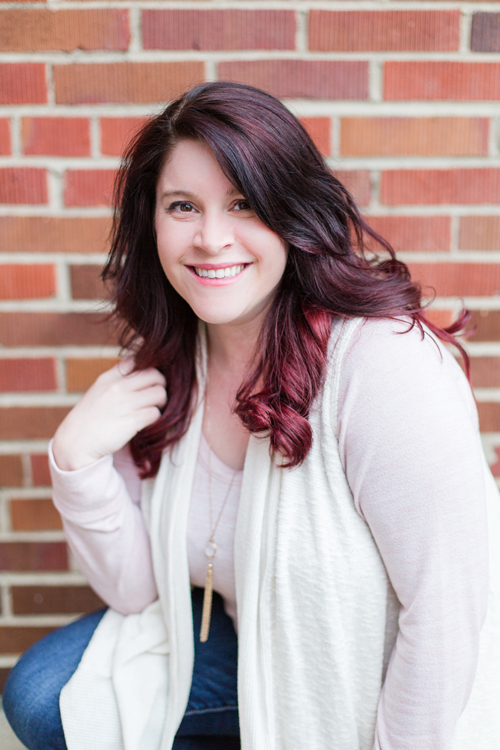 If you are a solopreneur and are ready to not go it alone come join me and other like-minded solopreneurs in the Passion Driven Solopreneurs Facebook Group! 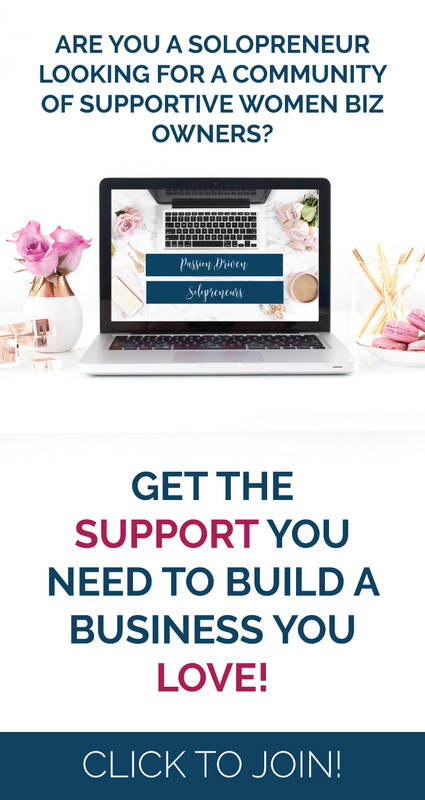 It’s free and you can get support on your visibility, website, branding, and content related questions as well as engage on daily topics & get access to free resources & Live videos that are exclusive for members of my group!